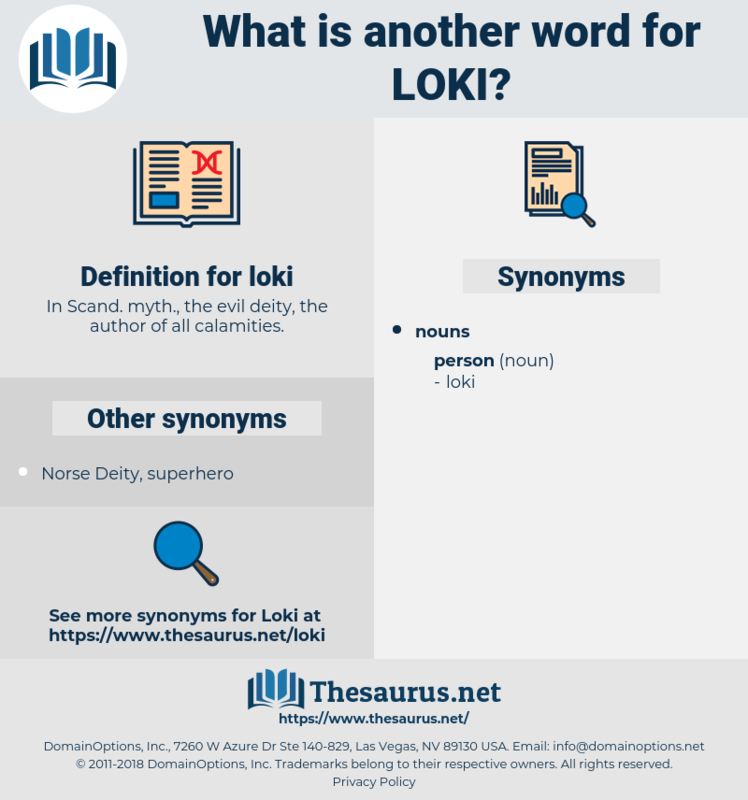 What is another word for loki? In Scand. myth., the evil deity, the author of all calamities. 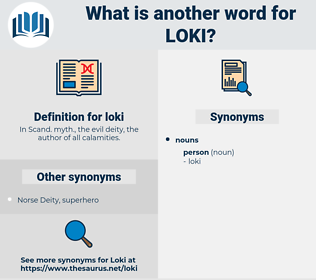 We read in the Norse mythology, that the gods tied Loki, the impersonation of the evil principle, to three sharp rocks, and hung a snake over him in such a way, that its venom should drip on his face. Loki was a descendant of the gods, and a companion of the Giants. lac wax, lockjaw, laius, leakage, lao-zi, loss, leech, lxxiii, lachesis, lossy, lassa, luxe, logy, leo xiii, lose, leigh, log, lucas, laze, lexis, lxii, lax, laic, laugh away, lasso, louse, lachaise, lawless, Liliaceae, loge, leash, loco, lagos, loos, Lech, lascaux, liza, luck, lease, llullaillaco, league, lake keuka, leakey, Lake Cayuga, lilac, lick, loose, lazio, lace, leo ix, lxxi, Leo Esaki, lycia, liaise, Louis I, lough, lygus, louche, laugh, lash, Leo X, Louis Ix, lack, lhasa, lucy, loch, lxxxi, locke, lx, lyssa, loloish, log z's, lxxx, logic, laws, lackey, leach, leak, Lugh, Louis Iii, lallygag, lycosa, luge, Lego, lechwe, Louis Agassiz, logos, legacy, Lusaka, leaky, luke, lilylike, lie awake, lox, loasa, louis, luik, lacy, lock, liege, lakh, lousy, leggy, locus, lac, luce, lass, lag, losses, loasaceae, lockage, luggage, lychee, lazy, leek, likewise, lxi, legs, lug, like, lake, lessee, lochia, lisu, luscious, lollygag, look away, leacock, lux, liliales, lycee, lugosi, Louis Xiii, lxxxiii, lush, low-key, lxxii, loggia, lysis, leuciscus, logo, lxiii, lichi, lees, lock away, loxia, leechee, lxxxii, Louis XI, loach, lichee, lxx, lek, lewis, lucky, less, laicise, laicize, Louis X, lewisia, loligo, look, Louis Ii, loquacious, liliaceous, laos, leg, lasix, Louis Xii, lassie, loess.